What to Do with Decluttered Items. 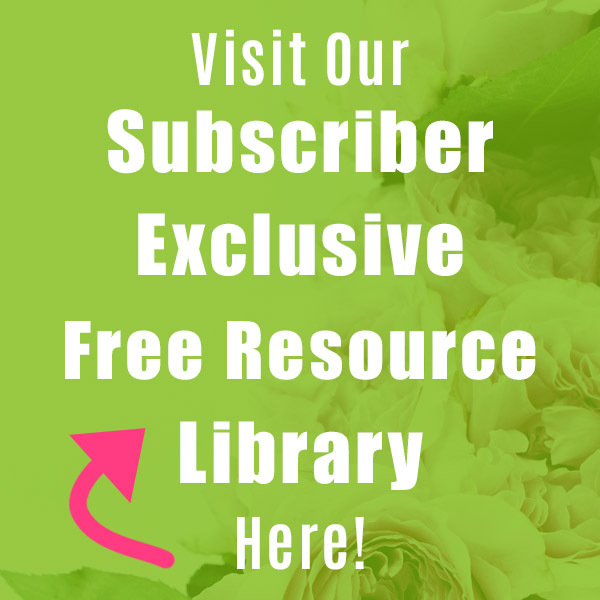 Deciding what to get rid of when decluttering your house is hard, but it seems as though deciding what to do with all of those decluttered items is even harder! 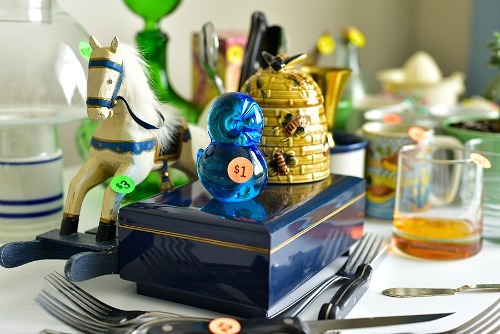 How do you decide if you should keep an item, sell it, donate the item, or trash it? Below are a few tips to help guide you when going through the decluttering process. With these tips you will be able to decide what to keep, what to sell, what to donate, and what to trash! 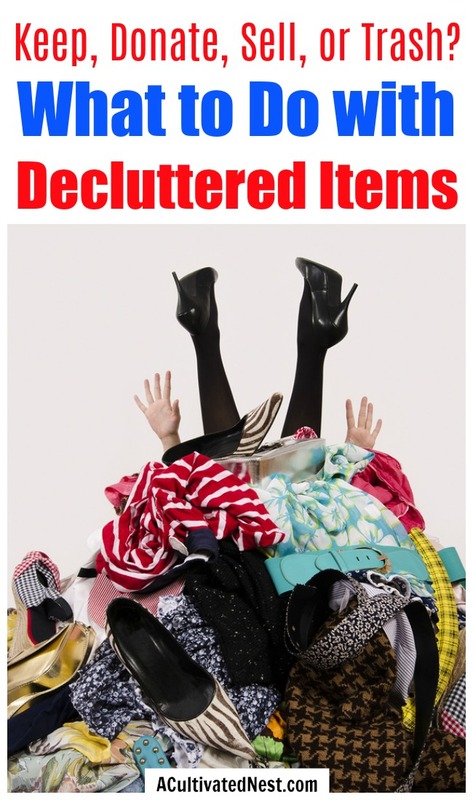 Read ahead and let’s get started on figuring out What to Do With Your Decluttered Items. 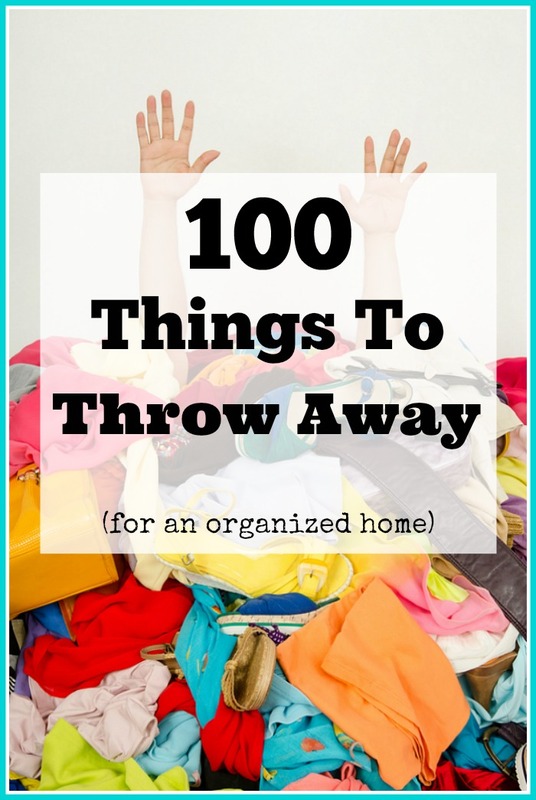 Whether you’re using the Konmari method, following our list of 100 things to throw away, or got inspired by our Throw It Out! 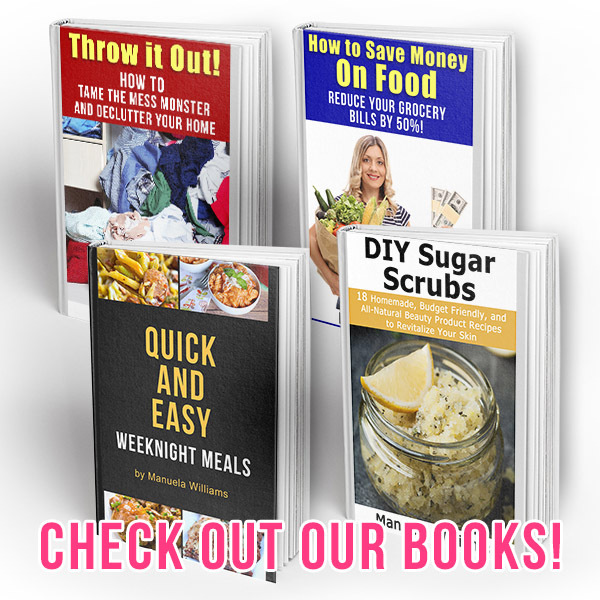 decluttering book, these tips will help you figure out what to do with all the items you think may need to go. When considering if you want to keep decluttered items instead, you’ll want to think about the functionality of the object, how often you use it, how much you need it, and what it means to you. If an object doesn’t work, if you don’t use it at least once a week, and if it holds no sentimental value, chances are you don’t need to keep it. If an item makes you feel happy when you hold it and see it, if you use it weekly, and if it is in good functioning condition, keeping it seems much more reasonable. Think of each item you own having to “earn” its place in your house. If it doesn’t work, get used often, or hold any special value in your heart, it can go. Remember, this doesn’t mean it has to be trashed. You can see if it fits into our next three categories: Donate, Sell, and Trash. This is the quickest way to get items out of your home! Please remember that thrift stores rely on your donations. This keeps them in business and helps them provide jobs and services to others in the community. Plus, thrift stores are a real life example of one man/woman’s trash being another person’s treasure. I’ve found so many great things at the thrift store. And thrift store items make great bases for beautiful DIY makeovers! But while thrift stores love your donations, they don’t want items that are broken, need replacement parts, dirty, ripped, torn, or stained. 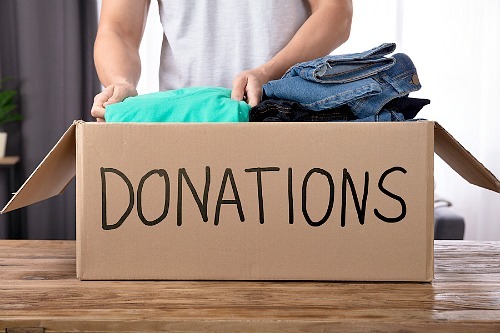 Decluttered items you can include in the donation pile would be gently used clothing, games, toys in clean and working condition, small electronics in working condition, books, dishes, and housewares. Do not include any kind of item that needs major cleaning or repair, as most thrift stores will just end up paying to have these items hauled away since they can’t sell them. Ask yourself if you would buy the item in the condition that it is in. If not, it may be time to consider the trash. Selling your decluttered items is the most time consuming option, but sometimes an item we no longer need is valuable, and we don’t want to just give it away. That is OK! For items that you no longer want/need that are still worth money, you have the option of selling it. You really have to think about whether the time you invest in selling an item is worth it. Your time is valuable! 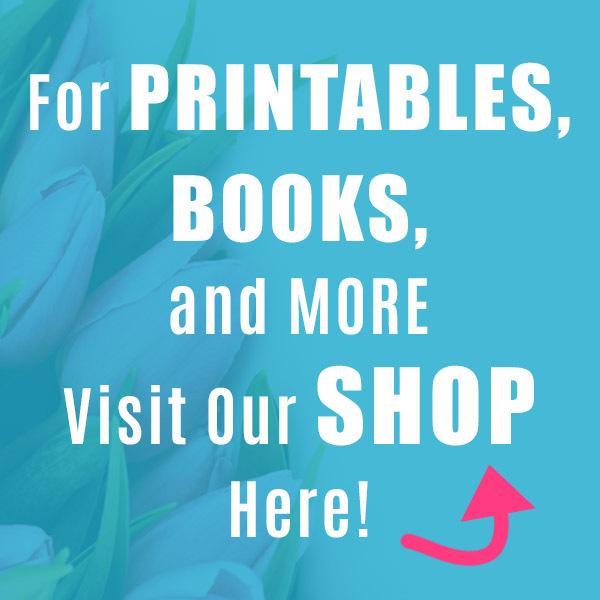 Depending on your method of selling, you usually have to at the very least take a photo and list the item. Then you have to take time out of your day to meet the buyers or package and mail out your item. Even if you decide to have a garage sale, you still have to think about the set up time and all of the usual things involved with garage sales (which our free printable garage sale checklist can help with). So the bottom line is, do you really have the time to do all of this? If so great! Selling stuff you no longer use is a great way to make some extra money. 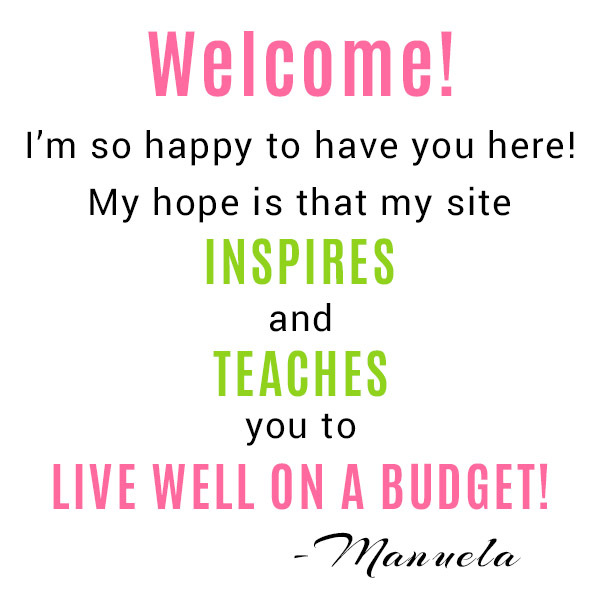 You can sell your big ticket items (furniture, kitchen appliances etc), name brand shoes and clothing, name brand handbags, small electronics, and upscale home decor pieces on a local Facebook market page, Craigslist, or at your local consignment shop. If you have old smartphones, tablets, or computers that you’d like to sell, we have a whole other post on How to Make Money from Your Old Electronics. Remember, when you get some cash for the items you get rid of, you are affording yourself new experiences to enjoy later or adding to your emergency fund! It really is a win/win situation! So what decluttered items should you trash? Some people have a hard time throwing decluttered items away because they see value in everything. After considering what a thrift store can use and not use, hopefully you have a better idea about what is best going into the trash. Items that should be trashed include paperwork and bills that you no longer need, are no longer relevant, or you have digital copies of. Shred these items before you toss them to protect your identity. If you don’t have a shredder, or have a lot of documents, check to see if your city is having a shredding event. Other items you should toss in the trash include heavily worn or damaged clothing, broken dishes and household accessories, and toys/electronics that no longer work. Remember that some cities may have rules about what electronics you can throw away, so be sure to check with local ordinances and throw away appropriately. Take the time to truly evaluate the items you own, consider their condition, their worth, and the life they still have left in them before choosing the keep, donate, sell, or trash pile. In the end, you’ll be able to declutter while feeling confident about the afterlife of all your belongings! 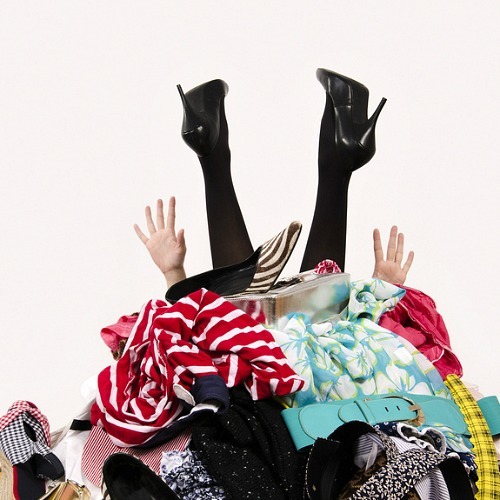 What helps you decide what to keep, sell, donate, or trash when you’re decluttering?